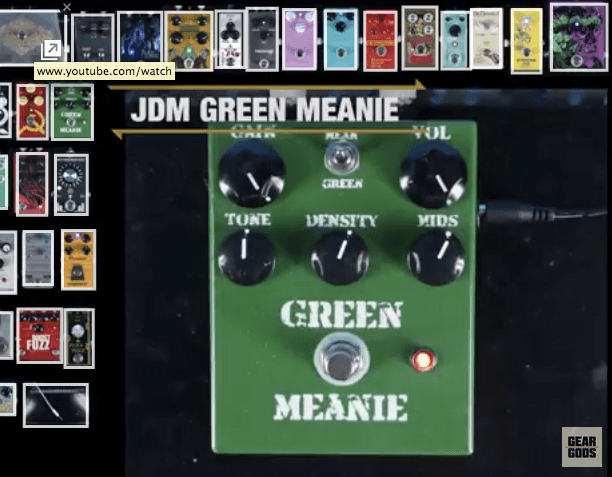 JDM Pedals “Little Steamer” Overdrive/Fuzz (Germanium/Silicon Hybrid) – Harmonic Percolator PLUS! 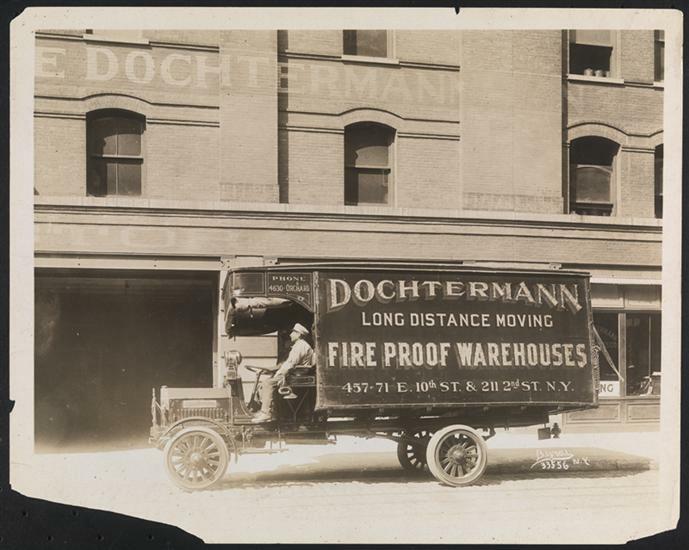 **Jan 15th, 2017 – The Little Steamer is in stock and ready to ship. NOTE: We’ve now scored a stock the original transistors used in the Harmonic Percolator (2N404 and 2N3565). The Steamer is meaner than ever! 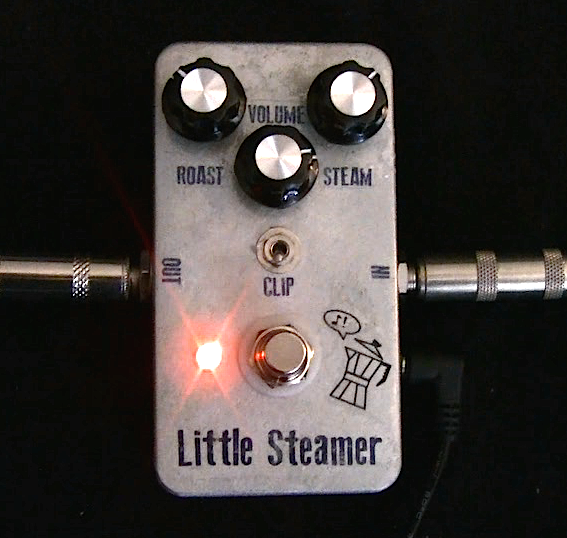 What IS A “Little Steamer”? 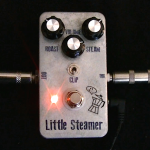 The “Little Steamer” is a unique pedal, and you won’t find any other pedals out there that create the same tone. 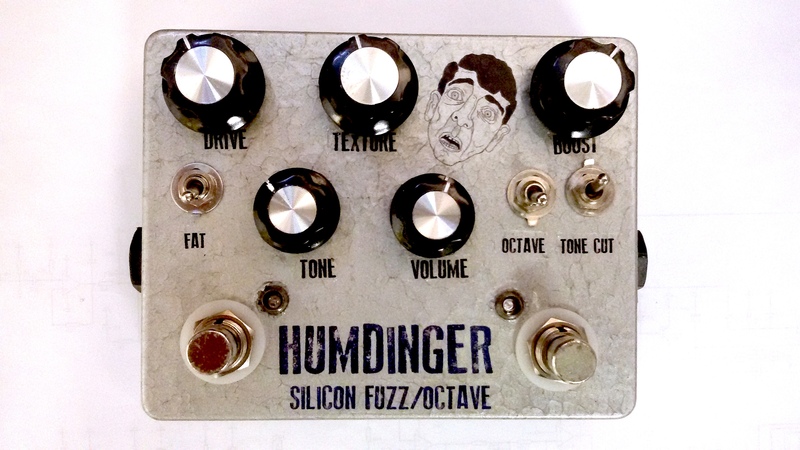 It is loosely based on the mysterious “Harmonic Percolator” circuit developed in the 1970’s, but we’ve tweaked the design to allow you to dial in sparkling light overdrive tones, warm sustaining overdrive, or nearly synth-like fuzz/drive sounds that sustain forever. The Germanium/Silicon hybrid circuit does an amazing job of combining the warmth of Germanium overdrive tones with the “snap” of Silicon fuzz. If you are not a fan of the Tubescreamer “mid hump”, this pedal may be your Holy Grail. It is an overdrive that cuts through the mix for both rhythm & lead playing. The unique properties of the circuit create a pleasant (if at times wildly over-driven) sound no matter how you dial it in. It’s like coffee; it’s going to pep your tone up no matter how you brew it, you just need to dial in your flavor. There are four controls – “Roast”, “Volume”, “Steam”, and a “Clip” switch. Volume is obvious. The Clip switch is also pretty straight forward; when in the “Clip” position, the signal is sent through a series of diodes, both silicon and germanium. 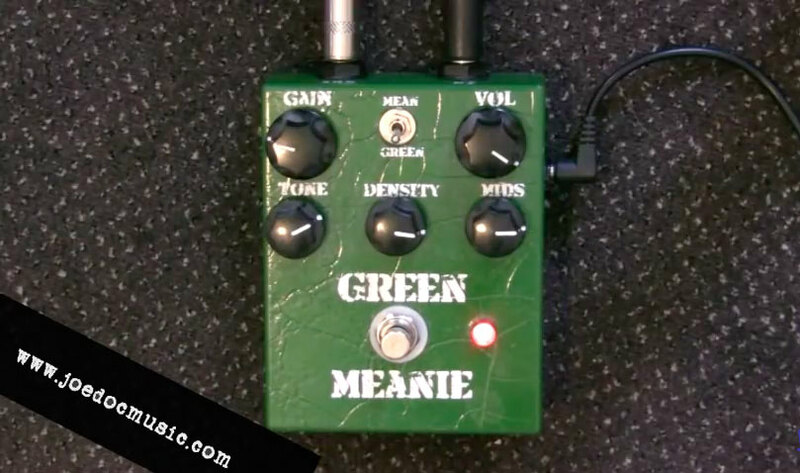 This creates additional distortion and increases the harmonic content of the signal which gives your tone more “bite” and drive. This results in a small volume drop, which you can compensate for with the volume knob. There is plenty of output on tap! The “Roast” and “Steam” knobs are completely unique to our design. 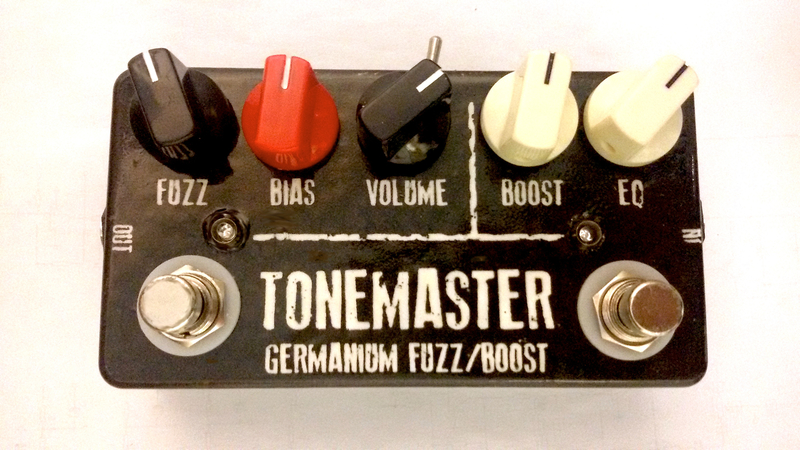 Roll back the “Roast” for mellower overdrive sounds, crank it for a “dark roast” high-gain overdrive. Even cranked up to wild gain levels, the solid midrange cuts through the mix beautifully. “Steam” lets you reign in the the drive in a different way. Turned down (to the left) the circuit gain is reduced, but high end “sparkle” is maintained – perfect for spanking rock and country rhythm guitar sounds. As you crank it up, the gain increases and the sound becomes somewhat darker and focused. You can create furious lead sounds that won’t steam your eardrums with harsh harmonics. The interaction of “Roast” and “Steam” provide an amazing range of tones; from old school rock and mellow overdrive to gutsy distortion and slippery fuzz tones. Get your Little Steamer now and pipe up your tone there, flapjack. RETURN POLICY: If you’re not satisfied with any JDM Pedal, you can return it for a refund minus our packing and shipping costs ($10) If you order more than one pedal, you can return any for no fee whatsoever if you keep at least one. Our pedals are guaranteed for 2 years. Really enjoying the way it colors my tone. I struggle to turn it off really, it’s good. I was looking for a power requirement / current draw spec and couldn’t find it anywhere. I don’t have to tools to measure it myself. Thanks for the info and for the amazing pedal, got it wired up nice and clean.